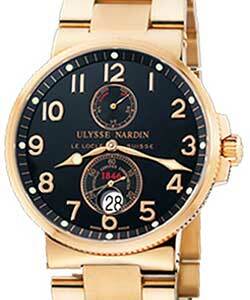 This watch is also known as: Model , Model266.66 , 266.66 . 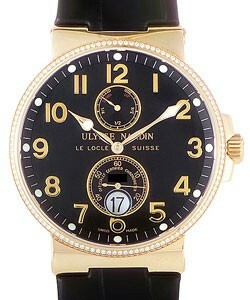 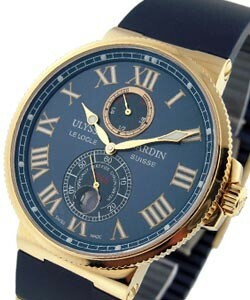 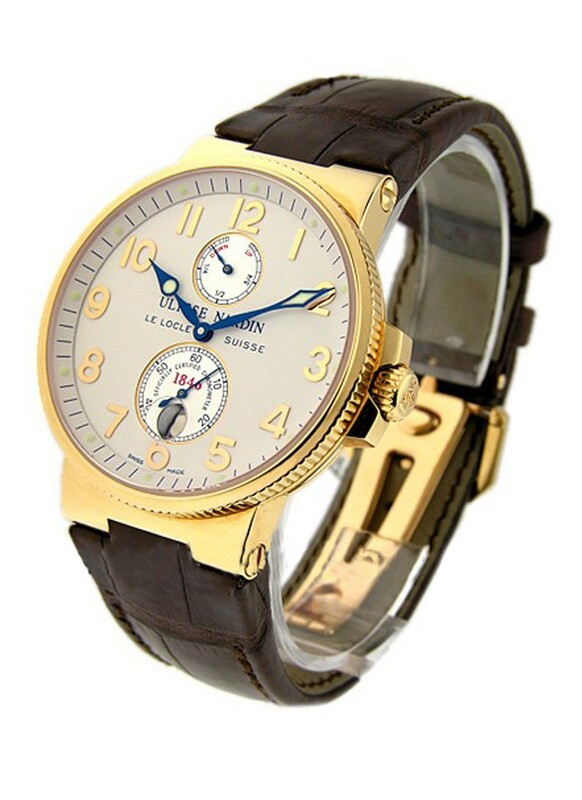 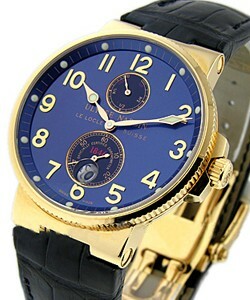 Ulysse Nardin Marine Collection - Maxi Marine Chronometer Watch- 266-6 Is An Amazing Mens Timepiece With A Cream Dial, Small Second Sub Dial At 6 o'clock Position & A 42 Hour Power Reserve Indicator Placed At 12 O'clock Positions. 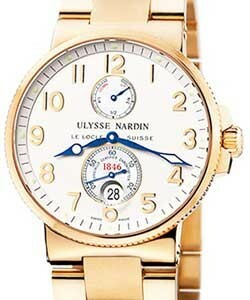 The Ulysse Nardin Maxi Marine Chronometer Watch Functions On Automatic Movement & Features A Scratch Resistant Sapphire Crystal & An Attractive Brown Leather Strap. 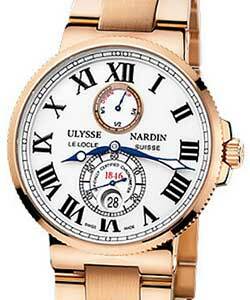 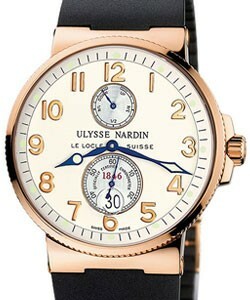 Ulysse Nardin Marine Collection - Maxi Marine Chronometer Watch- 266-6 Is Housed In A Stylish 18 KT Rose Gold Case Sized 41mm, COSC Certified Chronometer & Water Resistant To 200m.